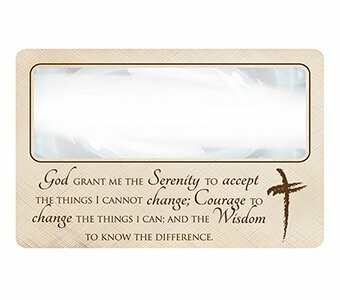 Fitting easily into your pocket or wallet, this must-have Bible and book magnifier also acts as a bookmark. 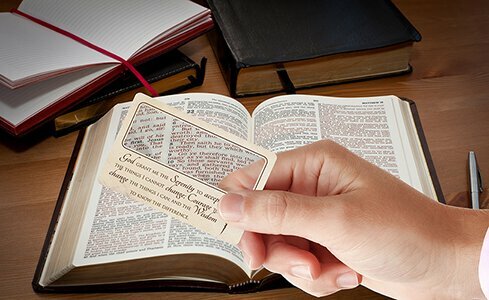 Magnifies text 3x for easy reading. 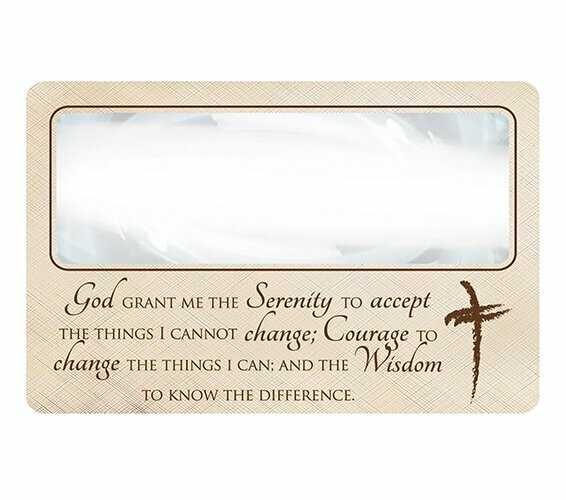 Text reads: God grant me the Serenity to accept the things I cannot change; Courage to change the things I can; and the Wisdom to know the difference.